Fueled with automation your website can keep working for you 24/7/365 - even when your business is not open. In today’s world, no small business can be without a website. But its' not good enough just to build your website to look pretty. You need to build a website that works for you. If you’re website isn’t performing then you’ve just got a nice looking business card displayed on the internet. We build websites designed to convert your visitors into leads and then combine that with the power of marketing automation to convert those leads into customers. This builds a truly powerful marketing tool for you that continues to work for you 24 hours a day 7 days a week… even when your not working. We use WordPress as the platform to build your website on and throw in our custom Content Management System to make your website even easier to manage. We include a front end drag and drop page designer, landing page builder, and built in Google Analytics Tracking. We'll guide you through step by step how to use the site and leave you with comprehensive documentation so you'll never get lost. Whether you have an existing website that your looking to upgrade or you are starting from scratch, we'll help you build a website that works hard for you (even when your not working). Get in touch with us and we can talk about starting your new project. 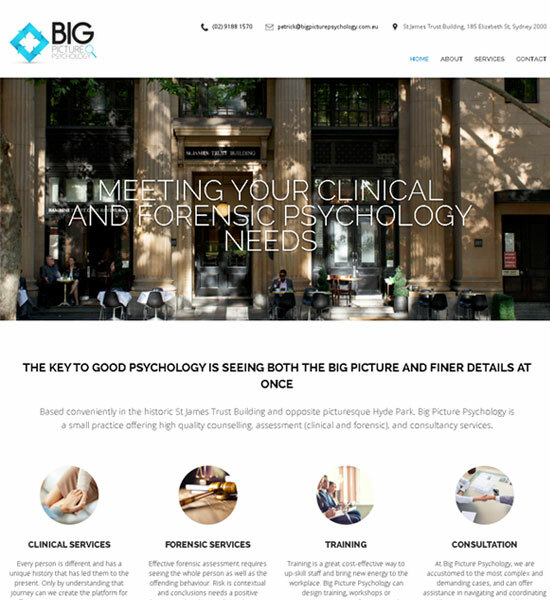 Patrick at Big Picture Psychology approached us to create his brand new website as he was launching a new business after working in the public and corporate sector many years. His main aim was to have a hub where people could contact him easily. As a sought after psychologist Patrick was after a website that reflected a professional & established image as he grew his business. We designed the site with a light & professional feel, making it easy for people to grab Patrick contact details and with room for the website to expand as his business expanded. 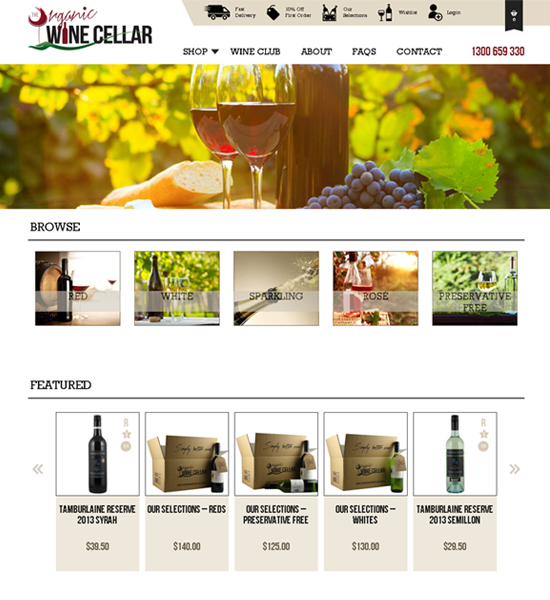 The Organic Wine Cellar approached us to create their brand new e-commerce website as they were launching a new online business selling organic wine. 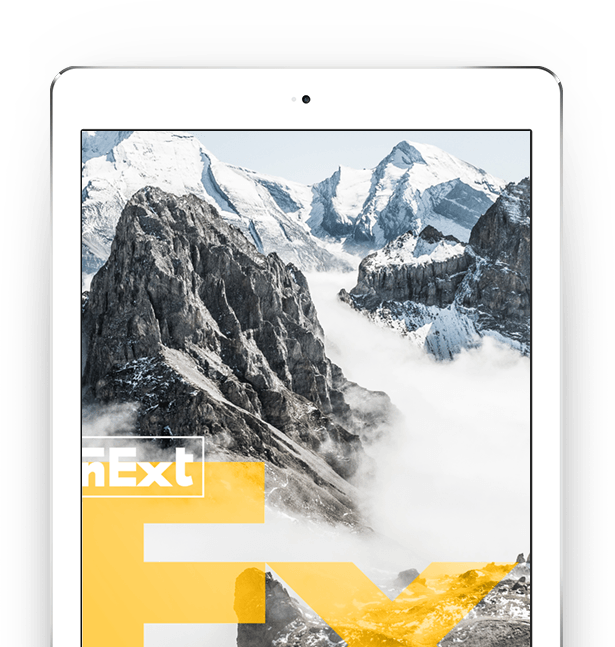 The brief included full ecommerce capabilities, integration with their CRM & email marketing platform as well as a fully custom design from scratch. The result has been outstanding as they have cornered a gap in the market for organic and preservative free wine and are competing with some of the larger and more established e-commerce sites in the market. 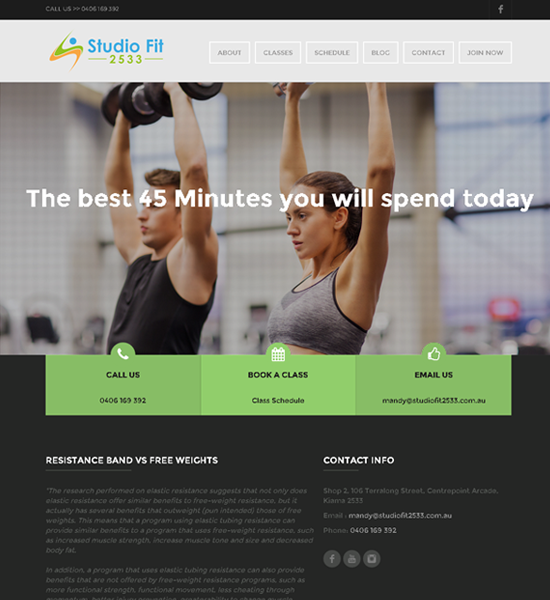 The client approached us as she was setting up a new studio and needed a website where she could attract new clients to the studio and classes. Part of the brief included integration with her CRM/Email Marketing Platform as well as a full booking system for the studio. Where both clients could book in for classes and she could manage all her booking from the admin are of the website. We designed the site for ease of use for her clients both to be able to book online and find out information and directions to get to the studio. The result is a website that reflects what a client experiences when they visit the studio. 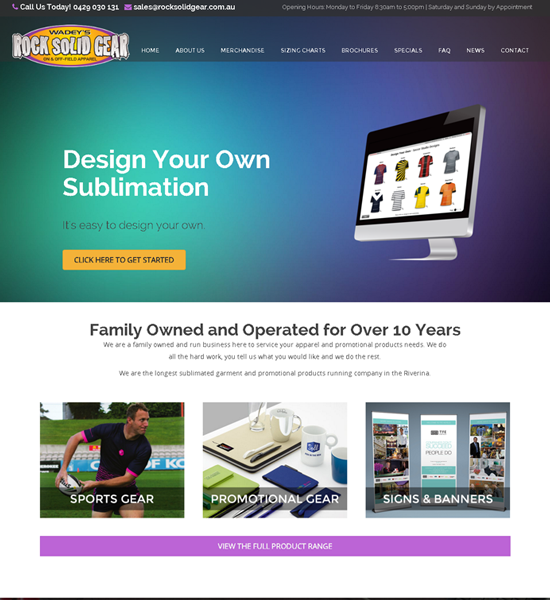 Mark from Rock Solid Gear approached us to re-design his website after years of having the same design. He wanted a more modern look and something that was easier for him to maintain himself. Being a local business based in Wagga, Mark wanted to make it clear that he could (& does) service clients all over Australia. The brief included updating the information that clients could find on the site including sizing charts, product listings & links to order online. The result is a brand new fresh look for Rock Solid Gear that matches the value that he brings to his clients. 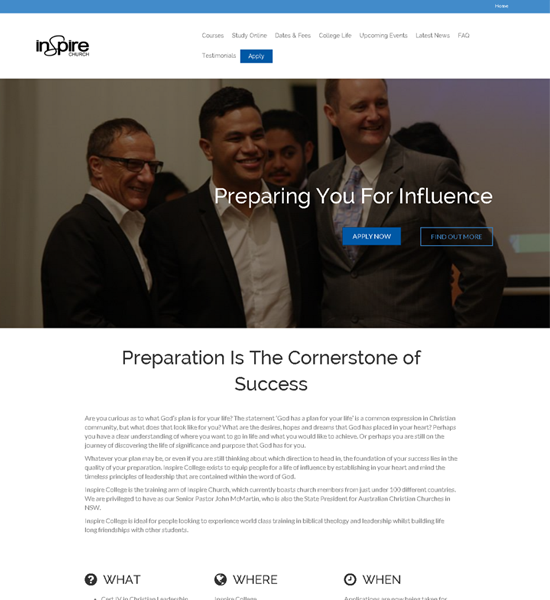 The team at Inspire College approached us to redesign their website as their current site was very simple and limited and not attractive to potential students. In particular they were branching out into international student intakes & wanted a site that reflected the quality of study you could get at the college. The brief included crafting content that talked about the experience of studying at Inspire College including video testimonials. They also wanted to include an events calendar for students and potential students with important upcoming dates as well as a function for people to apply online. The result is a fresh, modern looking website that completely reflects the kind of study experience a student will have at Inspire College. 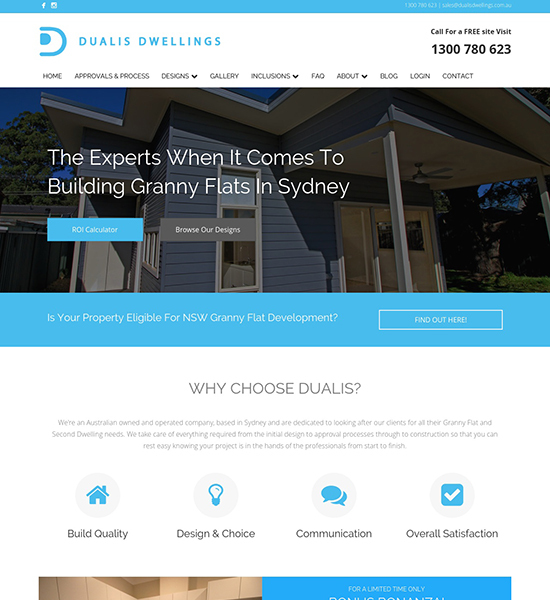 The team at Dualis Dwellings approached us to fix up a design that had gone wrong from a previous developer. The brief was to create a design that looked fresh and modern and in line with their brand. Particularly they needed the forms on the site to connect to their custom CRM and also wanted us to build a custom ROI calculator. The result is a new modern look for Dualis Dwellings that displays the kind of exceptional quality that they produce through their granny flats. Our Small Business Marketing website is more than just a business card online. It's designed to generate leads and be your 'business hub' in the digital world. Integrated with your CRM and other key business processes and tools this is a powerful platform for your online presence. If you need your website to work for you automatically and consistently then the marketing site is perfect! Membership websites are a great way to build recurring revenue into your business while creating an engaged community of customers and users. E-Commerce Integration for taking payments. LMS (Learning Management System), Forums, and other protected content integrated into the site. Get your membership website up and running without the hassle of working it out yourself. Maybe all you need is one great, high converting landing page. Whether your offering a free ebook, an email course or video series - A landing page is perfect for a really specific offer. So start collecting leads quickly and easily with one of our high converting landing pages! Just like anything your website needs someone to keep a close eye on it to make sure it's always running at peak performance. We take care of the technical aspects so you can have peace of mind. Don't just build your website and assume that's it. Make sure it is always running at it's peak. NEED A STUNNING, RESULTS DRIVEN WEBSITE, DESIGNED, BUILT & FULLY MANAGED FOR YOU? All our websites are responsive and mobile friendly, so it always looks perfect at any device. All of the websites we create are based around flexible coding systems, so we can always extend your functionality. You get 24/7 access to your website control panel and a huge range of options to help customise your content. You have full access to our support portal so you can login anytime and get the help or answers you need. Access your website via a secure, user-friendly custom built admin area, built on the back of WordPress. 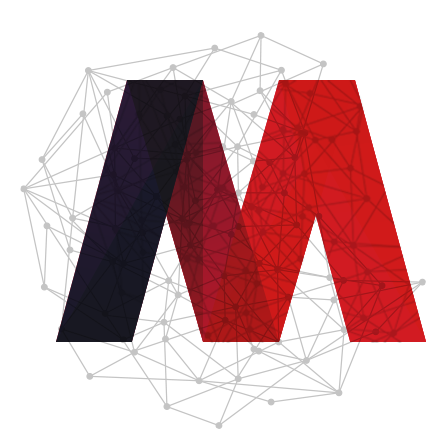 We make sure you website is Google friendly by installing website analytics and submitting the sitemap to Google. Website costs vary depending on many different factors. Our website projects start off at $2500 for a basic business site and range upwards depending on your needs. We also offer less expensive options if you’re on a limited budget - so get in touch and we’ll see what we can do. Will I be able to make changes and updates to the site myself? Yes, absolutely. We believe it’s super important for you to be able to add and edit your website. The digital world moves so fast and you can’t be always waiting for a web developer to make your change for you! All our websites are build on WordPress, the premier content management system, which means you’ll be able to log in and make changes to any of your pages that you like. We also include a simple drag and drop page builder to make it even easier! This is going to depend on the type of project and how complex it is. But generally for a basic business website you’re looking at anywhere between 4-6 weeks from the time we receive your content to completion. Do you provide training on how to use my website? Absolutely. All our website projects come with training included. We’ll schedule a training session over Skype once you’re site is live to go over the main functions of how you can maintain your website. Plus we’ll leave you with a comprehensive library of training video’s in the admin area of our site to refer back to. What's CRM/Funnel and why would I need to connect it to my website? Our philosophy is that your website should work for you - even while you’re not working. That’s why we encourage you to connect it to your CRM (customer relationship management platform) and think about the funnels and journeys that a customer takes beyond your website. With things like contact forms and follow up requests, opt in forms, downloadable PDF’s and more. Yes we do. We have several different client support plans that range from just maintaining your site to unlimited content changes. Check them out here. All of our projects are based on a fixed rate and we will always let you know in advance if something is out of scope and will cost you extra. Once you’re project is complete we are happy to continue working on tasks although we prefer to give you a flat rate estimate, rather than work on an hourly rate. Yes, all of our websites are built using best practices and will be responsive on all devices. Do you write the copy for my website? We are not copywriters unfortunately. However we can help you with a framework for writing the content for your website with a website content workshop. Do I need to provide photos for my website or will you source them for me? Our preference is that you invest in some good quality custom photography for your website. We find that websites that have original images perform better than websites that use generic stock photography. We are not photographers, but have some fantastic contacts who can help you out in that area. Are there ongoing or hidden costs that I should be aware of? The only ongoing costs you need to worry about for your website is your web hosting and domain name. These are the building blocks for keeping your website up online. We also offer optional ongoing client support plans. No. We are website developers and stick to what we are good at. However, we can refer you to some great branding and graphic designers who can help you out with that.